Oppo has launched Oppo R17 Pro smartphone on 4th December in India finally and we were hearing about the device launches since couple of weeks. The brand has launched two smartphones' viz. Oppo R17 and Oppo R17 Pro with some added features. These two phones specialized and powered with VOOC charge and HyperBoost technology. If you are interested to know Oppo R17 Pro phone's features, technical specification, price detail, review, unboxing, comparison and hands-on etc. then you would find some of them over here. The phone comes with a dynamic design with a small (water-drop) notch. Seize The Night is the slogan for the device from the brand. Based on the Oppo's official launch, you can check Oppo R17 phone's features, specifications and price below. Oppo R17 Pro is powered by Qualcomm's Snapdragon 710 processor and paired with 6GB and 8GB variants. The internal storage of the Oppo R17 is 128GB memory. Oppo R17 Pro runs with the latest Android Oreo operating system based Color OS 5.2 version. The resolution of the phone is 2340 by 1080 pixels with 16 million colors. The mobile phone comes with 6.4 inches screen with a 91.5% ratio. Coming back to its camera detail, all in all it has Triple Rear Cameras. The device comes with 12+20 megapixel + 3D TOF rear camera and 25 megapixel front shooter. 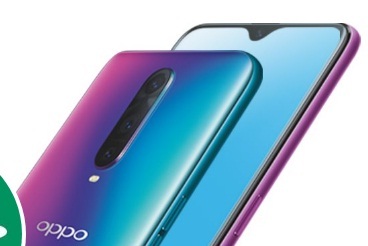 We would cover more detail about the gadget (Oppo R17 Pro) soon. Time being, you can check Oppo R17 Pro specs and price detail below. You can buy Oppo R17 or R17 Pro from first sale on December 7, 2018. Tips: The phone comes with new features and can buy it considering the technical stuff.